The brand-new Hustler Dash zero turn is built for yards up to 1-acre. Let’s face it, the typical lawn in the USA is less than 1/3-acre, and there are a house and driveway sitting on it. The Hustler Dash is available in a 34-inch or 42-inch deck size. Both units are powered by a 10.5 hp Briggs & Stratton Engine, and they have a top speed of 5mph. Before you thumb your nose at the top speed, that’s still more than 1/2 - 1 acres per hour. Included on the Hustler Dash is a foot-operated deck height adjustment, making it very easy to change cutting height. Hustler has a patented automatic parking brake. When the user places the ZT controls in the neutral position and spreads the handles, this automatically sets the parking brake. When you think of Hustler Turf, your mind probably immediately goes to a Super Z or a commercial-grade mower with the iconic yellow and black paint. Commercial landscapers know and understand that build-quality that Hustler brings to their equipment. 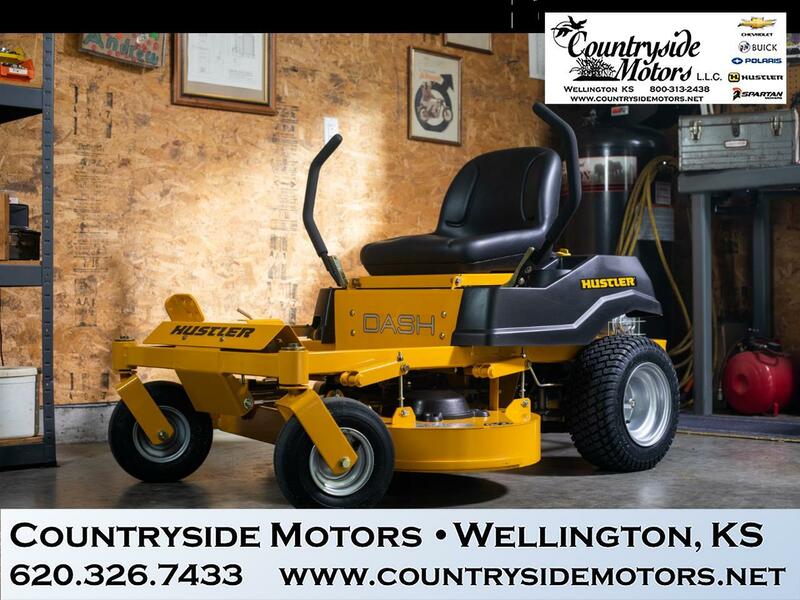 Homeowners now have an opportunity to get into the game, without the commercial price, with the addition of the Hustler Dash zero turn mower. Message: Thought you might be interested in this 2019 Hustler Dash.